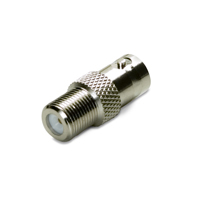 Dark unpowered coax systems give no clue as to their design, condition or configuration. 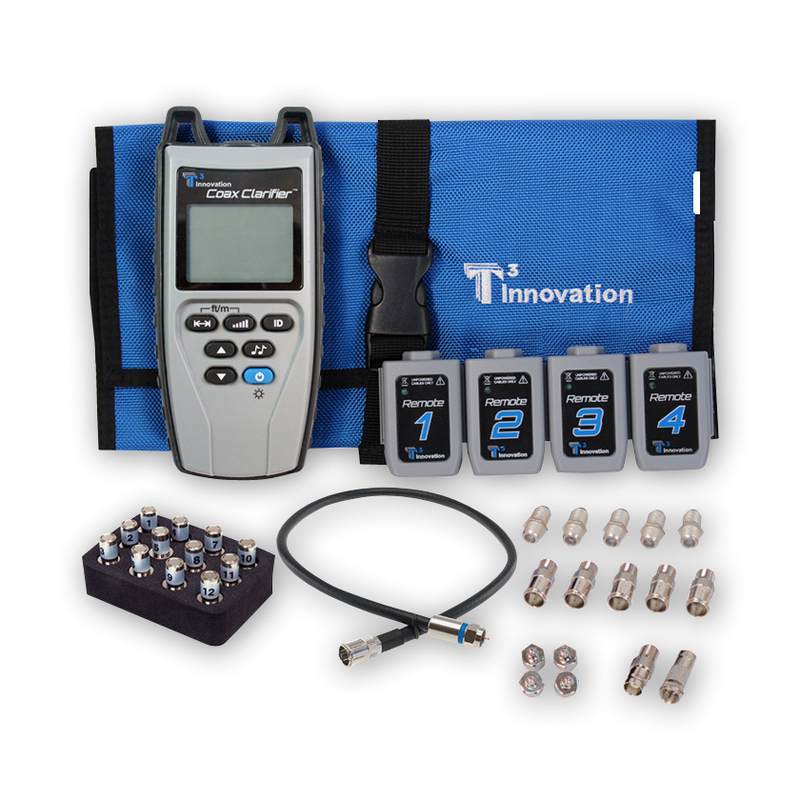 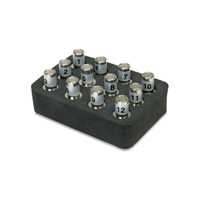 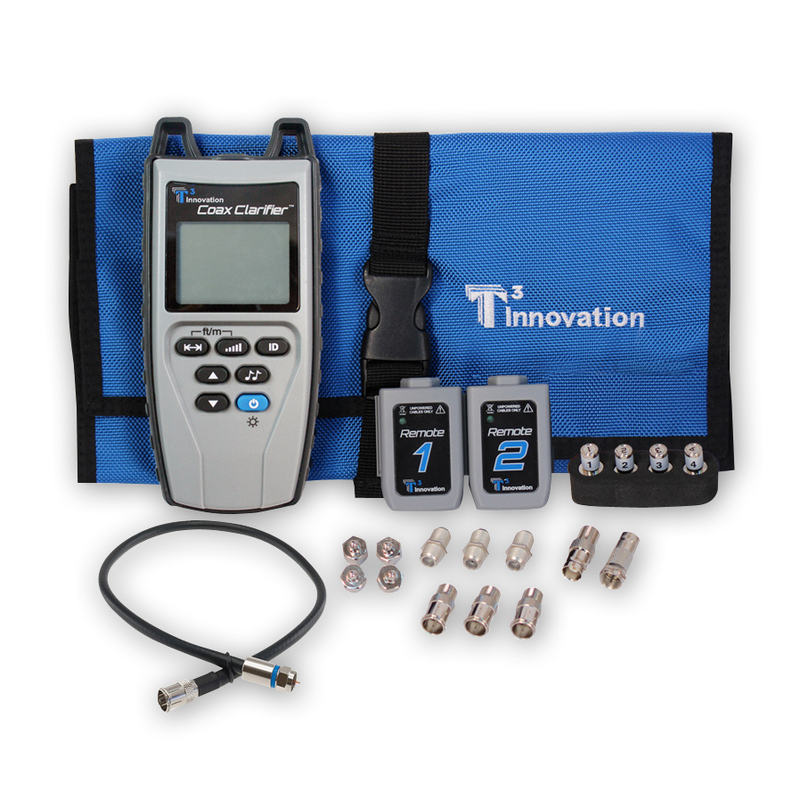 The new Coax Clarifier™ by T3 Innovation makes it simple and easy to discern the layout of a coax network, locate faults on individual cable runs, identify remotes through splitters, and determine cable run lengths. 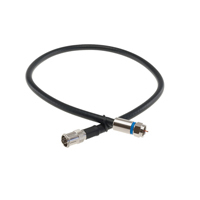 In addition, separate wiremapping sets allows a technician to map out the entire coax system and measure the quality and characterization of the overall network for carrying services, such as high grade video, surveillance data and HD programming. 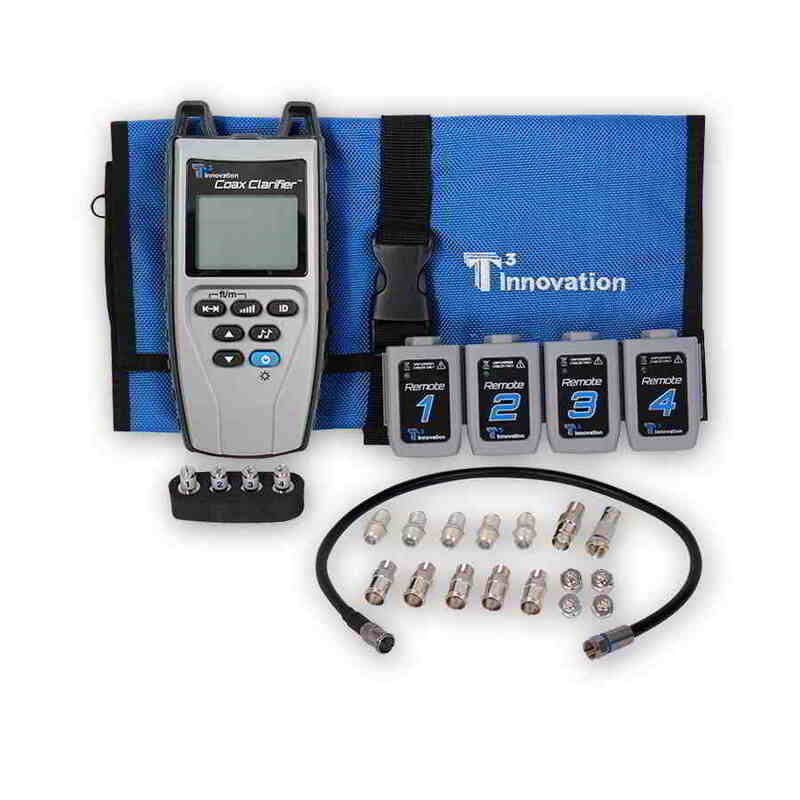 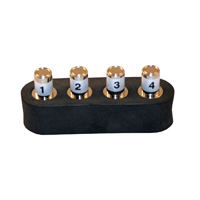 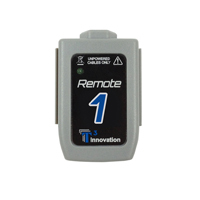 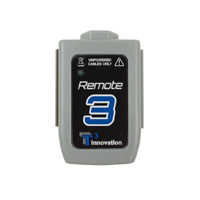 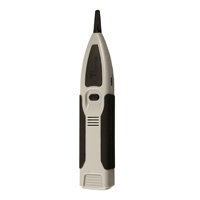 Determines cable run length and reports the location of an open or unterminated cable. 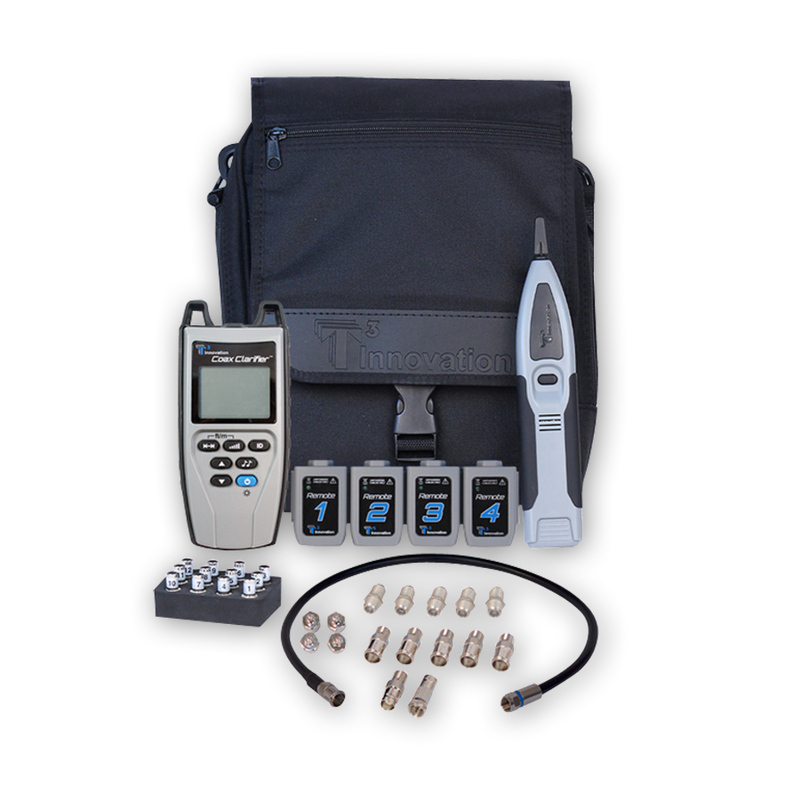 Traces coax runs with four unique tones to quickly distinguish between respective outlets. 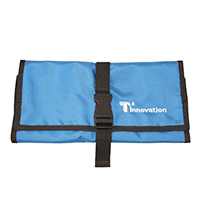 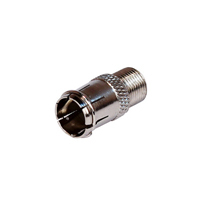 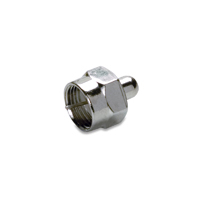 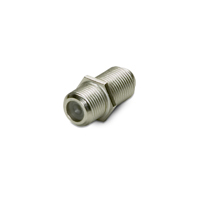 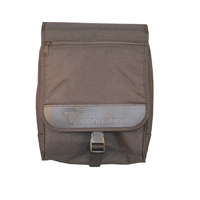 T3 Innovation CA004 Cable Assembly, Screw-On F-Jack to Push-On F-Plug Cable 12"